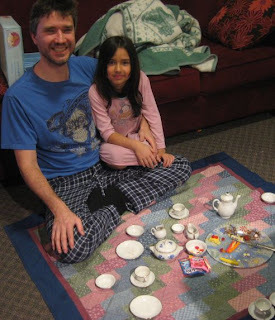 Life Candy: almost wordless: when the going gets tough, the tough have a tea party. almost wordless: when the going gets tough, the tough have a tea party. Despite the start of a new and enchanting cold, I powered through and helped my little girl make tea cakes by Easy Bake. We put that bad boy through its paces and set up a tea party that would surely get a gold star from Martha. Daddy thought it was awesome. 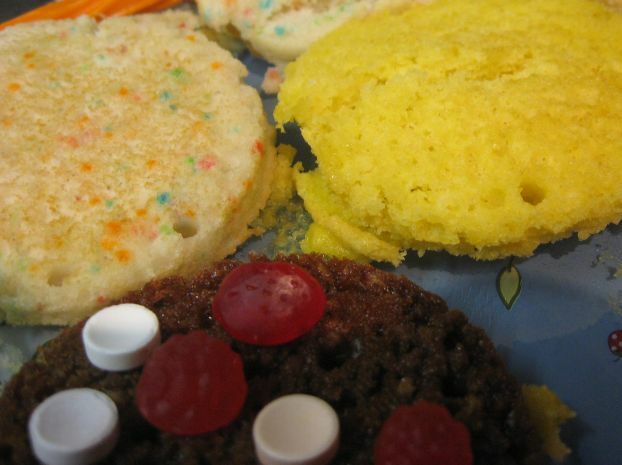 Didn't I read somewhere that they were doing away with the Easy Bake ovens because of the stupid light bulb or something? I never had one as a child, but I bet that was fun! LOVE IT! Oh that is sooo cool! :) You know, DK cannot wait to share that time with Mini-Cyn.